A comprehensive guide for the new year. In 1973, Alex's son Jack became more involved and began to diversify, working heavy equipment sales into the lineup of services. Beazley Auctioneers is a God-centered company that provides local service with a global reach. Specializing in remote and offsite sales of heavy equipment and industrial assets. Beazley Auctioneers values relationships and delivers results; and has grown nearly 10 fold since it's founding in 2013. The company's corporate office is located at 6205 Chapel Hill Blvd, Ste 200, Plano, Texas 75093. For more information, call 800/670-1227 or visit www.beazleyauction.com. BidSpotter.com, the global pioneer in live and timed auctions, provides instant access to the thousands of auctions hosted by 350 industrial, construction and farm equipment auctioneers in the US and Canada. With 20-plus years of industry expertise, round-the-clock customer support and a cutting-edge online bidding platform, BidSpotter.com is dedicated to providing customers with top-tier service and the best online bidding experience. Wholly-owned by ATG Media, BidSpotter.com continues to deliver exponential yearly growth while at the same time helping industry leading auctioneers grow their business. BidSpotter.com is the online bidding solution of choice with more than $7 billion worth of products offered on its site, an average of 34 percent sold to online bidders, and a database of 531,000 active buyers. For more information, call 866/597-2437 or visit BidSpotter.com. Steven Bunch has been in the auction business since 1983 and also owns Bunch Bros. Auction & Realty Inc., along with his brother, Roy Bunch, who is a licensed auctioneer and real estate broker. For more information call 270/748-8080, or visit www.bunchbrothers.com. In the 1980s and 1990s, the company flourished under Jerome and Jeff's management, going from five employees in a home office, servicing mostly local clients to a full-time staff of 30 servicing clients nationwide. In the 2000s, Jeff's sons, Jeffrey M., Jr. (2000) and Joseph (2005) joined the staff, starting on the road set-up crew, prepping the sites for auction. Spending weeks away from home, learning the business from ground up has helped teach them the sacrifice, hard work and dedication that it takes to run a successful small business. In the 2010s, Jerome and Jeff are actively managing the company; Jeffrey M. has grown to a management position and is involved all aspects of the business and Joseph M. has become secondary auctioneer and an accredited AMEA appraiser. Jerome's son, Ryan Luggen, officially joined the company in 2013 after graduating from Ohio University. Today, the company is running like a “well-oiled machine” with the two fathers' 30-plus years of experience and their three sons' youth and ambition, they look to provide top nationwide auction and appraisal services for another 50-plus years. The sale site in Philadelphia, Miss., is located on 50 acres, features a 10,000 sq. ft. all-weather drive-thru facility, as well as a 3,850 ft. paved and lighted airstrip. The sale site in Dothan, Ala., was recently remodeled, bringing many new features to the forefront of Deanco's operations. For more information, call 601/656-9768 (Mississippi) and 334/792-1116 (Alabama), or visit www.deancoauction.com. Del Peterson & Associates was founded in 1970 by Del Peterson. During the early years the company focused our efforts in the fertilizer and grain industries and set the standard for professional onsite auctions in these respective fields. Since that time, Del has retired and his son, Steve Peterson, is now the President/CEO of the business. Del Peterson & Associates Auctioneers is dedicated to making the online auction experience the best possible. The company specializes in selling equipment and facilities through our public online auction service. The company strives to maintain the true auction experience at the convenience of selling and bidding over the internet. The live auction board provides the feel of an onsite auction with a dynamic clock, bidding extension time and the comfort and convenience of bidding from you own computer, tablet or smart phone. The company has a multi-faceted national marketing program that has proven to be very effective in targeting clients across the United States. We have an experienced sales staff and provide additional marketing support through our website, sale bills and advertising in respected regional and national publications. The team of professionals is hard-working, honest and reliable. Don Smock Auction Company Inc. was founded in 1990. The company holds four major auctions each year at its all-weather drive thru facility, located at 6531 S. State Road 13, Pendleton, IN, 46064-9194. Don Smock Auction Company Inc. also conducts onsite auctions throughout the midwest annually. Don Smock Auction Company Inc. offers additional services including commissioned auctions, outright purchases, trustee liquidations and estate and real estate auctions. Equify Auctions has quickly become one of the premier auction houses in the great State of Texas. Featuring three brand new, state of the art, climate controlled facilities in Cisco, Wills Point, and Sealy, Texas, Equify regularly hosts heavy equipment, machinery and truck auctions across the state. Equify's auctions are attended by people all over the world due to our online presence, and unparalleled “blue glove” service. When you take part of an Equify Auction, whether as a buyer or a seller, you quickly see that it's more than just an auction – it's an event. Equify is also unmatched in offering a one-stop-shop for your construction needs ranging from asset services, that provide certified business and machinery appraisals; commercial lending that will step in when the banks won't; insurance services to manage and finance your business risk; real estate financing that provides backing for your commercial projects; and, of course, auctions, where you can confidently buy and sell the equipment that is critical to the success of your business. Auctions + Commercial Lending + Insurance Services + Asset Services + You. Together, we are Equify. We are based in downtown Fort Worth, Texas, and can be found online at equifyllc.com or at 817-490-6800. Contact us, and Equify your business. Derek Keys first established Euro Auctions in 1998 in Co. Tyrone, Northern Ireland, with five employees. Since then, Euro Auctions has grown from a small family owned business into one of the world's leading auctioneers of industrial plant, agricultural and construction equipment, according to the company. Euro Auctions has an unreserved auction policy, which means that everything sells to the highest bidder — there are no minimum bids and no reserve prices. The company's goal is to provide a straightforward service, making the buying and selling of quality equipment easy and accessible to all. Marvin Henderson founded Henderson Auctions in 1957. From its humble beginnings, Henderson Auctions is now recognized as one of the global leaders in the auction industry, yet small enough to provide personalized service. Henderson Auctions' two auction facilities include its main office and original 30-acre location in Livingston, La., and 40-acre location in Carencro, La.,, conducting more than 50 auctions per year selling construction equipment, trucks, farming equipment, business liquidations and surplus equipment reduction. Henderson Auctions maintains a full-time staff of more than 30 dedicated auction professionals, with more than 200 years of combined auction experience. Henderson Auctions remains a family-owned business with Marvin Henderson leading the company as founder and principal auctioneer. Janet Henderson Cagley serves as the company's CFO and Jeff Henderson serves as president/CEO, currently serving on the Louisiana Auctioneers Licensing Board. Integrity and service is the cornerstone on which Henderson Auctions was built and remains strong today. Its clients become partners in the truest sense of the word. Every team member in the organization plays an important role. From the set-up crew to the auctioneers and office staff, each and every member of the team is dedicated to providing the best auction experience. The company's professional auctioneers work aggressively to maintain an exciting atmosphere and are knowledgeable in values of the assets the company sells, and are persuasive in soliciting bids while maintaining a friendly comfortable relationship with buyers. For more information on buying or selling, call 800/850-2252 or 225/686-2252, or visit www.HendersonAuctions.com. Livingston Location: 13340 Florida Blvd. Livingston, LA 70754, Carencro Location: 3620 NE Evangeline Thruway, Carencro, LA. The company holds consignment auctions six times per year, with approximately 600 units per sale. Its sales feature tractors, trailers, straight trucks, dump trucks, pickup trucks, construction/material and handling/agriculture equipment. Hilco Industrial's marketing headquarters is located in Farmington Hills, Mich.
Housby was founded by Jack Housby in 1969 and is based out of Des Moines, Iowa. The company has grown to serve client companies across America and around the world. Housby is a single-source provider for a variety of products and services, such as new and used truck sales, auction services, transporting, mixer manufacturing, and truck refurbishment. Twice a month, Housby Auctions sells all types of light and heavy equipment starting at 12 p.m. CST, through an online auction format. Whether you buy or sell equipment, Housby makes the process simple. Every sale is backed with the Housby Guarantee that sellers will be paid within 10 business days of the sale and all buyers are screened and guaranteed. All equipment is completed with a professional inspection, appraisal, and photos included. For more information to see our upcoming auction dates and view equipment, visit www.housby.com/auctions. Hunyady Auction Company reached an important milestone in 2015 — 25 years in business. The company, located at 1440 Cowpath Road, Hatfield, PA 19440, is a full-service provider of machinery and equipment from proposal to payout. I.R.A.Y. Auction was established in 2000 by Col. Ray Henry, a third-generation auctioneer with more than 30 years' experience. I.R.A.Y. Auction provides a multitude of auction services and benefits, holding both on- and off-site auctions throughout the year to sell, in addition to heavy iron, real estate, personal property, business liquidations and estate auctions. I.R.A.Y. Auction's 40-acre auction yard is located at 11935 Hwy 95 NE (on the northwest corner of Hwy 25 and Hwy 95), Foley, Minn. 56329. The site features a drive-over ramp and large registration area with space for vendor booths. Iron Bid Global/Rogers Realty & Auction Co.
R. Bracky Rogers founded Rogers Realty & Auction Company in 1964 as a real estate brokerage company. In the early 1970's the company expanded to include auction services, and by the 1990's Rogers held auctions up and down the East Coast. In 2007, Rogers became a third generation firm when Dustin Rogers joined the company. Iron Bid Global was established in 2011 as a stand-alone company to serve the agriculture, construction and transportation industries with auction and sales solutions. Iron Bid Global/Rogers Realty & Auction Co. opened a 6-acre, permanent sales facility in Mount Airy, N.C., in 2013, and conducts four auctions onsite each year. In addition, the company conducts two municipality auctions and several online equipment and real estate auctions for a total of 50 to 100 auctions each year. The company's equipment division services a wide range of clients from individuals to large corporations, rental companies, dealers, government entities and more. IronPlanet welcomes buyers and sellers to Florida. Customers can bid on a selection of used heavy equipment and trucks in Florida at this year's Cat Auction Services sale. The companies expanded the auction to five days to accommodate the volume of high quality equipment we are selling. Buy onsite or online starting at 9 a.m. ET every day beginning Feb. 8 to 12. The companies have an impressive selection of equipment from a large number of Cat dealers, leading OEMs, national rental companies, construction companies, financial institutions as well as trucks from major retailers, like Walmart. Equipment brands include a wide range of high-quality, late-model equipment from Caterpillar, Volvo, Case, John Deere, Komatsu, JLG, Genie and many more. Preview begins Feb. 1 at 8 a.m. ET and runs through SFeb. 7 at 5 p.m. ET. Customers can stop by the site (5000 Oren Brown Road, Kissimmee, FL) and register or register online at www.ironplanet.com where customers can also view equipment and download inspection reports. Interested in participating in future sales, please call us on 1-888-433-5426. IronPlanet is an online marketplace for used heavy equipment and trucks, and an innovative participant in the multi-billion dollar heavy equipment auction market. Since 2000, IronPlanet has sold more than $4 billion of used equipment online, and has more than 1.4 million registered users worldwide. IronPlanet's exclusive IronClad Assurance guaranteed inspection reports, gives buyers the confidence to buy online, increasing demand and providing better price performance for sellers. With IronPlanet, buyers can bid from their phone, tablet, laptop or in person, at our Cat Auction Services events. Visit the market places to find out more: IronPlanet, GovPlanet, TruckPlanet, Kruse Energy & Equipment AuctioneersSM, allEquip, Asset Appraisal ServicesSM and Cat Auction Services. IronPlanet is backed by leading investors Accel Partners, Kleiner Perkins Caufield & Byers, Caterpillar and Volvo. Jeff Martin Auctioneers has been in business since 2009. When the company originally opened it was known as Martin & Martin Auctioneers of MS Inc. The company made the decision to change the name in spring of 2014 to be more in line with the company's goal of being a leader in the auction industry, all over the United States not just in Mississippi. The company is owned and operated by Jeff Martin of Pelzer, S.C. Jeff Martin Auctioneers Inc. continues to grow each year and holds more than 25 auctions per year with both regional and international attendees. Auctions are held both online and onsite. While the company's focus is in the construction and transportation industry the company also auctions real estate, business liquidations and municipality surplus. The company has a 25 acre facility located 15 miles south of Hattiesburg, Miss., that features an indoor stadium seating arena with air conditioning and heating. In addition to holding auctions in its facility, they also travel to many customer locations holding auctions all over the United States. Online auctions are conducted through the company website WWW.JEFFMARTINAUCTIONEERS.COM. Jeff Martin has a long history in the auction business as he grew up in the industry. Jeff's father started Martin & Martin Auctioneers Inc. more than 40 years ago in South Carolina while Jeff continues on the tradition in Mississippi at his company Jeff Martin Auctioneers Inc. The goal of the company is “to consistently provide the best value for our customers in the auction profession” in the United States and the world. Both Malcolm and Brenda laid the foundation of core values and integrity that the second generation of the company holds dear. J.M. Wood Auction Co. Inc. is family owned and operated business, and we look forward to v with your family. Lloyd Meekins & Sons Auction Company's main sale site is located at 4070 N.C. Hwy 211, East Lumberton, N.C. 28358. Situated on 150 acres, including a 3,000 sq. ft. all-weather drive-thru facility. and 50 acres of parking. Martin & Martin Auctioneers Inc. is a full service auction company with facilities in South Carolina. Established in 1973, Martin & Martin holds memberships in the National Auctioneers Association, South Carolina Auctioneers Association, and Associated General Contractors and is led by president Deborah S. Martin. The company's South Carolina office is located at 1618 Easley Highway, Pelzer, SC 29669, phone number 864/947-7888. Mel Manasse & Son Auctioneers has grown to become one of the largest auction companies in New York and Pennsylvania, according to the company. Its growth is due, in part, to the company's quality service and attention to detail, and Mel Manasse & Son Auctioneers is versatile enough to serve the large and small auctions. Miedema Auctioneering conducted its first live auction in 1984. In 1987, founders Sid Miedema Sr., Sid Miedema Jr. and Scott Miedema established Miedema Auctioneering Inc. as a corporation. Over the past 30 years, the company has worked diligently to earn a reputation for honesty and integrity in the auction industry. The company strives for accurate appraisals and high volume sales. Miedema Auctioneering's team incorporates cutting-edge technology into its auction services to ensure that its clients have the best possible results for their auctioneering needs. In 2000, the company expanded its operations to include an Internet bidding component in its live auctions. The company is able accommodate a wide variety of client needs given its extensive experience managing and conducting online auctions. Over time, a series of specialized companies allow the firm to provide value by tailoring its approach to the individual client's needs. Today, Miedema Asset Management Group conducts approximately 300 online and live auctions each year. The company handles appraisals, liquidations of construction equipment, agricultural equipment, real estate, guns and much more. Miedema Auctioneering Inc., Miedema Appraisals Inc., Repocast.com Inc., Orbitbid.com Inc., LASTBIDrealestate.com Inc., Rangerbid.com, SSL Corporation and Online-AuctionSoftware.com Inc. are conjunctively organized under the umbrella of Miedema Asset Management Group. These companies employ nearly 150 professionals specializing in all areas of commercial, construction, agricultural, industrial and real estate sales. Miedema Asset Management Group continues to grow and expand, conducting hundreds of online and live auctions annually selling to bidders across the globe. We conduct auctions all over the United States and excel in what we do with the knowledge and growth we have learned through the last 31 years. The company's headquarters location is in Byron Center (Grand Rapids Metro), Mich.
Motley's Auction & Realty Group continues to expand its services and are pleased to announce its affiliation with Sperry Van Ness International, a leading national commercial real estate brokerage. Motley's will be migrating its Commercial Real Estate to Sperry Van Ness/Motley's; and, to better serve our clients, we will be adding commercial real estate brokerage to our commercial real estate auction services. The company is proud of the new Sperry Van Ness/Motley's (SVN/Motley's) franchise and looks forward to solving its clients'; disposition needs. Four specialized divisions now make up the Certified Virginia Small Business, Real Estate, Industrial, Business Assets and its sister company, Motley's Richmond Auto Auction, which is led by the second generation, President Mark T. Motley. Motley's headquarters is located at 3600 Deepwater Terminal Road, Richmond, VA 23234, For more information call877/MOTLEYS or visit www.motleys.com. Founded by Myron Bowling in 1975, Myron Bowling Auctioneers Inc. was incorporated in1985 and has grown to become one of the nation's largest industrial auctioneering firms. Headquartered in Hamilton, Ohio, the company conducts approximately 80 auctions for privately and publicly held companies, the United States Bankruptcy Court and other lending institutions and turnaround management companies throughout the United States, Canada and Mexico. For more information, visit http://www.myronbowling.com. Petrowsky also handles auctions in other areas including the underground utility, waste recycling and marine/dredging industries, as well as commercial real estate. Sales can be conducted onsite at consignors' own yards or Petrowsky offers no-cost use of its facility. Today, Powers Auction and Equipment Sales LLC is owned by auctioneer, Mike Powers, a veteran of the business for more than 42 years. Powers Auction and Equipment Sales LLC (Powers) has evolved in the time since 1972 when Mike Powers began as an auctioneer. Currently, the business conducts auctions locally as well as works contractually for national auction companies throughout the United States, Mexico and Puerto Rico. In its history, auction attendance has grown from just more than 100 attendees to more than 1,000 for each of its auctions. Powers is a family-owned operation, located in Woodstock, Ill., and currently conducts annual equipment auctions with customers from throughout the United States. Powers is a licensed dealer in the State of Illinois and handles all types of construction and landscape equipment, as well as trucks, trailers, and related equipment. 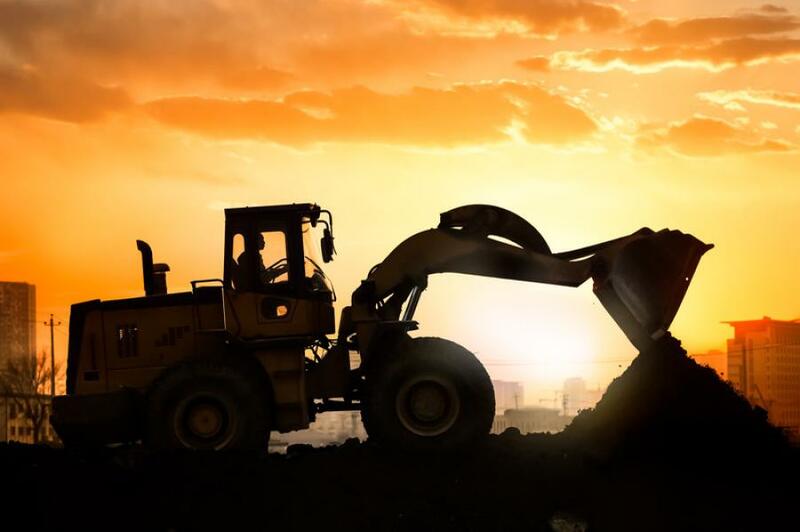 Proxibid's marketplace connects buyers and sellers with access to the online marketplace for buying heavy construction equipment and industrial machinery. More than $3 billion in inventory passes through Proxibid's marketplace annually across 16 categories representing every major inventory class. There are multiple ways to transact in the Proxibid Marketplace ― live auction, timed auction, buy now, or make offer. Since 2001, Proxibid has brought buyers and sellers together in a trusted online marketplace. Proxibid is headquartered in Omaha, Neb., with offices in London, UK. For more information about Proxibid, visit www.proxibid.com. For more information visit www.quakercityauction.com. For more information, visit www.quantosauctions.com. Ritchason Auctioneers Inc. was founded in 1989 by Dewain and Beth Ritchason. the auction business. In the upcoming 2016 year RA will be offering Mobile Bidding to all customers on all platforms. Ritchason Auctioneers is a family owned and operated business, and with the next generation of leadership coming alongside the founders, the company looks forward to serving the heavy equipment, truck, trailer and commercial vehicle industries with the same values and uncompromising integrity that has given Ritchason Auctioneers its well respected name in the auction business today. Ritchason Auctioneers Inc. is located at 7538 Linwood Road Lebanon, TN 37090. For more information, visit Ritchason.com or call 800/806-3395. Established in 1958, Ritchie Bros. (NYSE and TSX: RBA) is the world's largest seller of used equipment for the construction, transportation, agriculture, material handling, energy, mining, forestry, marine and other industries. Ritchie Bros.™ solutions make it easy for the world's builders to buy and sell equipment with confidence, including live unreserved public auctions with onsite and online bidding (rbauction.com), the EquipmentOne™ secure online marketplace (EquipmentOne.com), a professional corporate asset management program, and a range of value-added services, including equipment financing for customers through Ritchie Bros. Financial Services (rbauction.com/financing). Ritchie Bros. has operations in 19 countries, including 44 auction sites worldwide. David Roller founded Roller and Associates and his first desk consisted of two filing cabinets and an overturned door in the basement of his house. Headquartered in Denver, Colo., Roller & Associates Inc., was founded in 1976 by Roller after a shift in careers caused him to look into the auctioning business. Today, the company is run by his son Dayton Roller. Dayton grew up in the business doing everything including running sheets, labeling brochures, cleaning the facilities and setting auctions. After attending college at Colorado State University, Dayton pursued a career in public accounting with PriceWaterhouseCoopers. After years of performing audits for many technology and mining companies, including two that were taken public, Dayton went to work for one of his clients in the telecom industry. In 2002, Dayton decided to pursue a career in the auction industry and in 2010 Dayton took over as CEO and president of the company. Roller Auctions specializes in auctions for secured creditors, bankruptcy trustees, government agencies, business owners and more. For these entities, Roller conducts more than 150 auctions per year both at its 13-acre site in Denver and at seller locations. These auctions are conducted via online and live simulcast formats. Roller was recently recognized by CoBiz Magazine as one of the top 250 private companies in Colorado and is number one with under 30 employees. Roller Auctions is located at 7500 York Street, Denver, CO 80229. For more information call 866/515-1668 or visit www.rollerauction.com. For 43 years Roy Teitsworth Inc. has specialized in the sale of construction, municipal and farm equipment auctions at the customer's location or at its auction facility in Geneseo, N.Y. The company manages 60 to 70 auctions per year. Online bidding is available for those that can't make it to the physical location. Auctions include construction and farm equipment and the company buys new and used construction equipment. Steffes Auctioneers' North Dakota office is located at 2000 Main Avenue East, West Fargo, ND 58078. United Country is an international auction and real estate company that specializes in selling all types of real estate, industrial and commercial assets, construction equipment, oil and gas production equipment and farm and ranch equipment. Established in 1925, the company is the nation's largest and only organization of real estate professionals and auctioneers specializing in selling entire companies, including the equipment and the real estate. When liquidating assets, United's 275 auctioneers have sold everything from entire operations to individual bulldozers, graders, diesel engines and oilfield pumps. In the past 30 years, the company has liquidated entire plants that manufactured commercial turf care equipment, aircraft engine resurfacing operations, motor rewinding and transformer repair. The firm also offers a wide range of appraisal services. Utility Auctions is a full-service auction company that conducts live onsite auctions for the forestry, construction, utility and municipal industries. The company is proud of its well earned reputation for product knowledge, customer service, and most of all, integrity. All of these elements combine so that both sellers and buyers mutually benefit. Sellers will have profitable sales with Utility Auctions's low transaction costs and buyers will be satisfied in that they received a good product at a fair price, according to the company. Old-fashioned values combined with a modern approach make Utility Auctions an ideal choice when remarketing or expanding your fleet. WCA can help buyers assess the condition and value of equipment of interest. Performing equipment inspections providing additional photos and performance reviews and more are a few of the ways WCA serves customers. Online and proxy bidding also are on offer for WCA's customers. WCA's Corporate Office / Auction Yard is located at 2021 Goetz Road, Perris, CA 92570.
company's permanent auction site and headquarters is located at 10120 Dupont Blvd. Lincoln, Del. Located at 9801 Hansonville Road, Frederick, MD 21702, Wolfe Industrial Auctions Inc. has specialized in heavy equipment auctions since 1978. The company also offers many additional services including buyouts, liquidations and guarantees and appraisals. For more information, call 301/898-0340 or visit www.wolfeauctions.com. Today, nearly 75 percent of a WSM Auction consists of utility related equipment. A huge majority of Cadzow's consignments come from his seven long-time customers: Arizona Public Service (APS) — the largest electric utility in Arizona; The Salt River Project — the largest water provider in central Arizona; Southwest Gas; Century Link; Maricopa County; the city of Tempe; and Fleet Remarketing Group. For more informationm, visit www.wsmauctioneers.com/. Yoder & Frey Auctioneers Inc.
Yoder & Frey was established in 1964 by Elias Frey, Tim Yoder and Jack Higley and conducted its first auction on May 5, 1964 in Saginaw, Mich. Led by V. Peter Clark today, the company serves the construction equipment, truck, trailer, mining, farming and forestry industries with 10 to 15 auctions annually as well as offering appraisals. This year, Yoder & Frey will be holding its 42nd annual Florida sale in Kissimmee, its 13th annual sale in Darlington, Pa.
Yoder & Frey's permanent auction sites are located at 651 W. Southport Road, Kissimmee, Fla. and 423 Ashwood Road, Darlington, Pa.
Corporate headquarters are at 1670 Commerce Road, Holland, Ohio 43528. For more information, call 419/865-3990 or toll free 800/842-6221 or visit www.yoderandfrey.com.